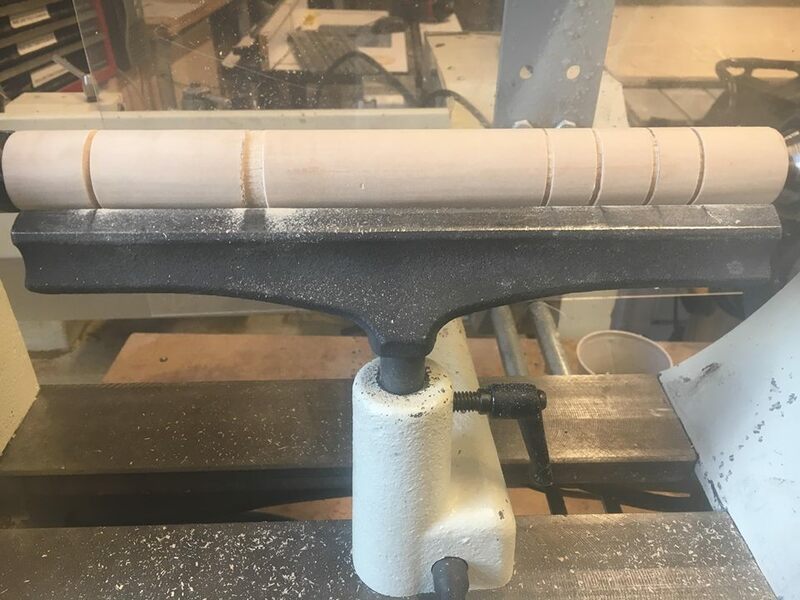 I was extremely nervous to use the hand router. It's a loud device that made me think that I could lose my fingers at any moment. Office hours helped me quite a bit. I struggled to make a circular design because I kept getting caught in the cable and I was too nervous about the cable accidentallly getting destroyed. I can see where I hesistated while cutting the wood because there a slight variations in the depth at certain points. I wish I had better quality material. 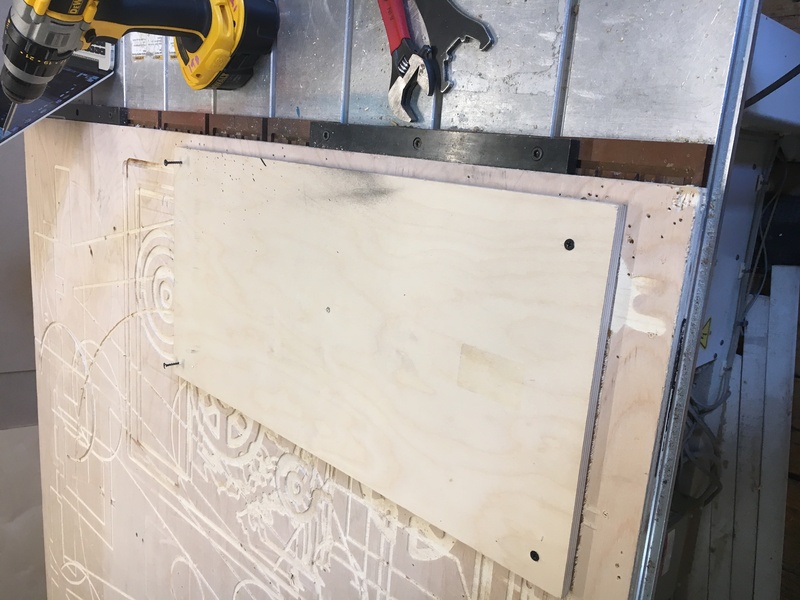 The plywood was flimsy so it felt like I had to use a lot of pressure to stabilize the material as I was moving the router. Also, there were irregulaties in the wood which made cutting feel kind of bizzare. I definitely liked cutting shorter lines starting off the edge and I tried to make the ending points line up just by feel. This week I wanted to make a stamp using my family's kamon. 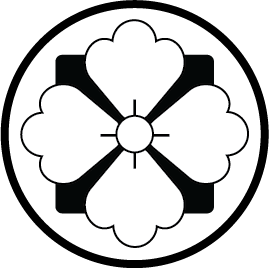 This is the equivalent of a crest, however, the differentiating factor is that kamon are used to identify families rather than aristocrats. 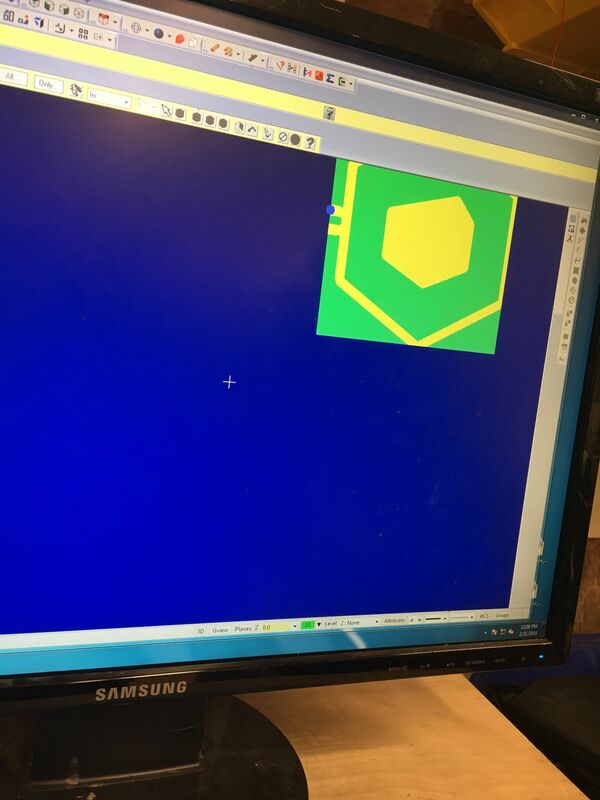 I wanted to get a sense of what the design would look like in Bantam so I separated the parts of the simplified svg. 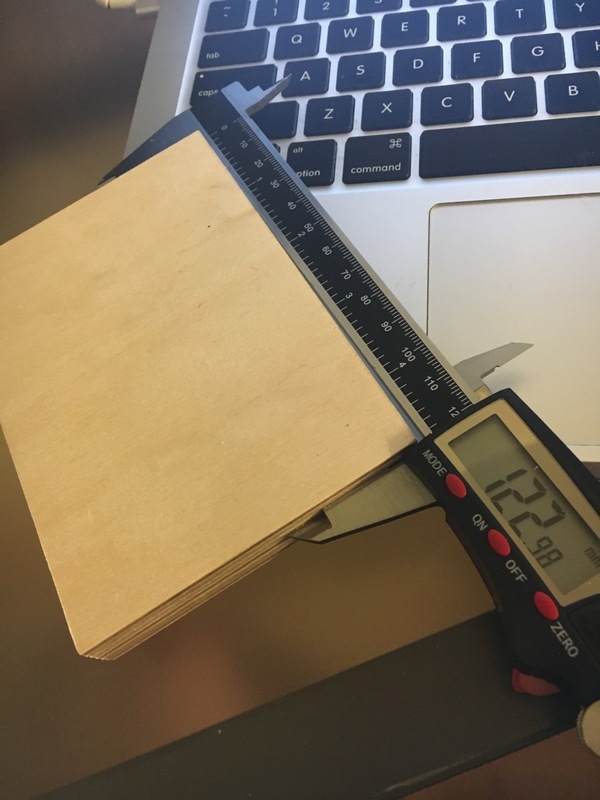 I measured my block of wood with my digital caliper and added 0.02 to the thickness. It was at this point where I realized that the diameter of the bit was a huge constraint. 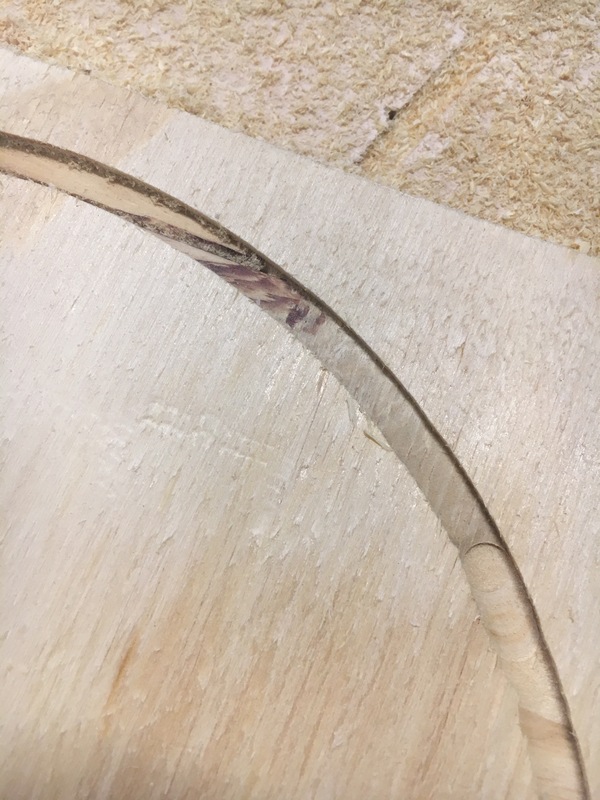 1/8" is too big to carve out any of the inner details of the design so I left out the little cross parts and started cutting out the inner circle and petals. Unfortunately, I had to stop the process because the bit was too big. It ended up gouging a hole into the material. 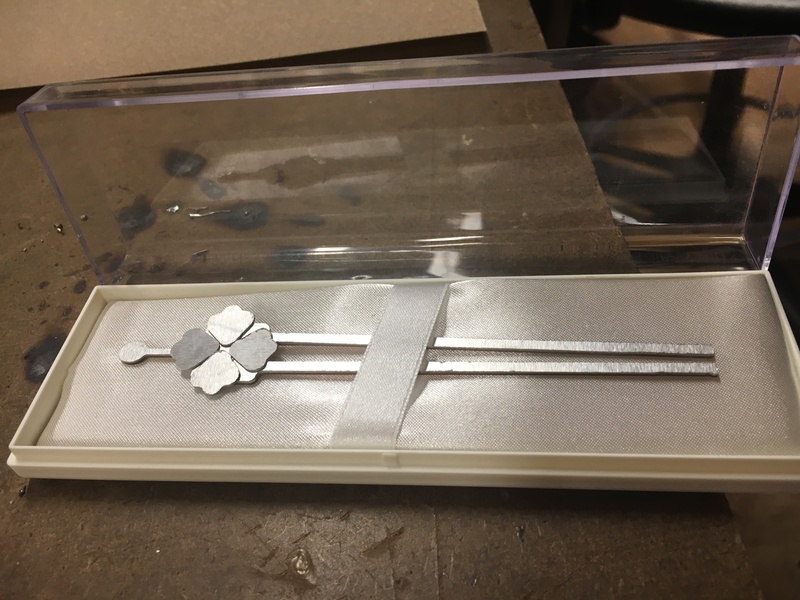 I ended up engraving the petals with a depth of 0.8mm. This looked much better than I expected. 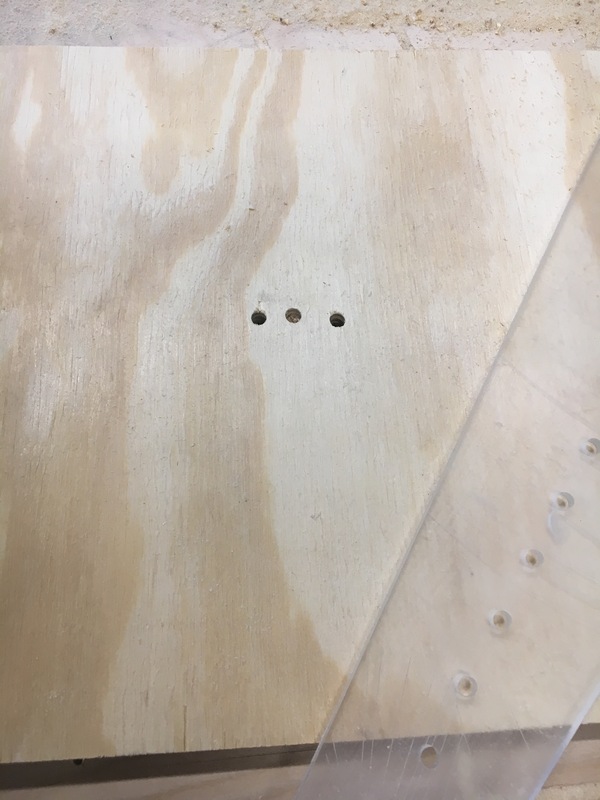 I had to reduce the scale of the plan by 30% because of the hole in the center. 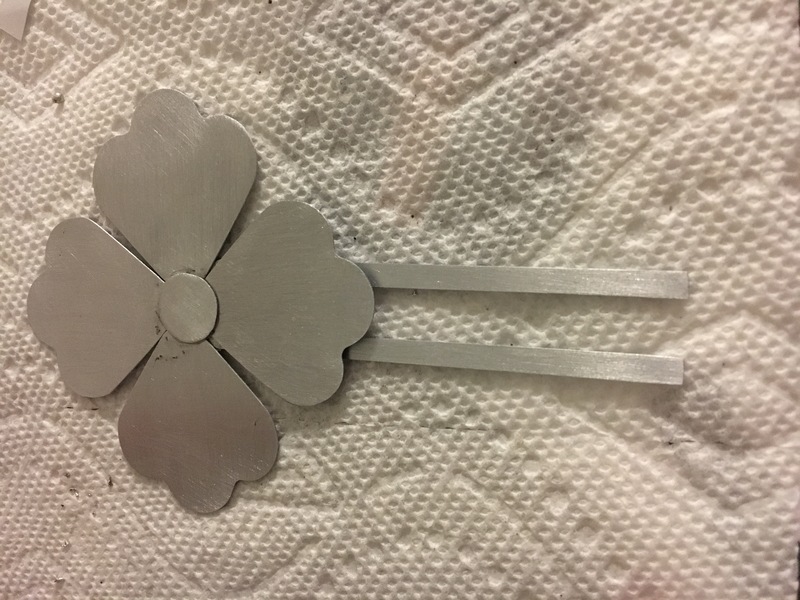 Overall, I'm happy with how it looks after engraving the petals. It's not perfect but I think the original design would have worked out better on different material and a smaller bit. 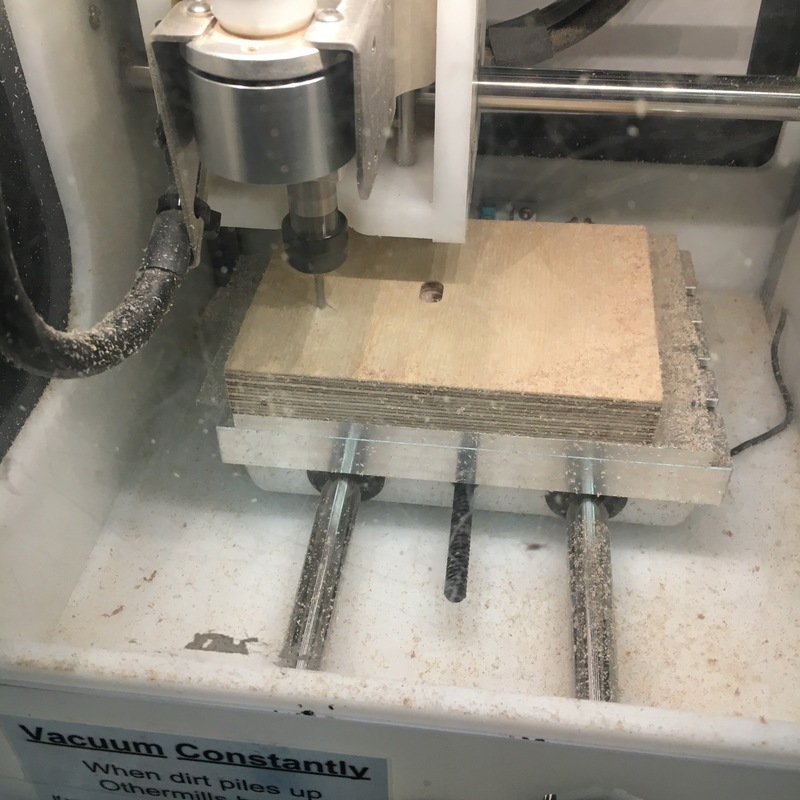 I'm glad I finally have the opportunity to use the mill becuase at MAGNET, we had one but everyone was too afraid to use ot because we weren't sure if it was assembled properly. I decided to try to remake my kamon in the form of a kanzashi, a type of traditional Japanese hair ornament. Kanzashi can either be made of cloth or metal. 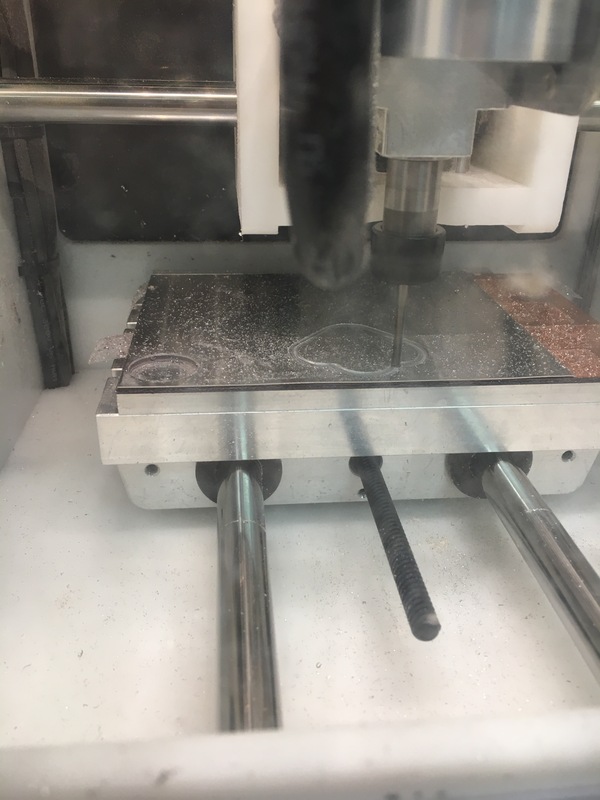 I decided to use aluminum as my material and I was much happier with the results compared to milling wood. 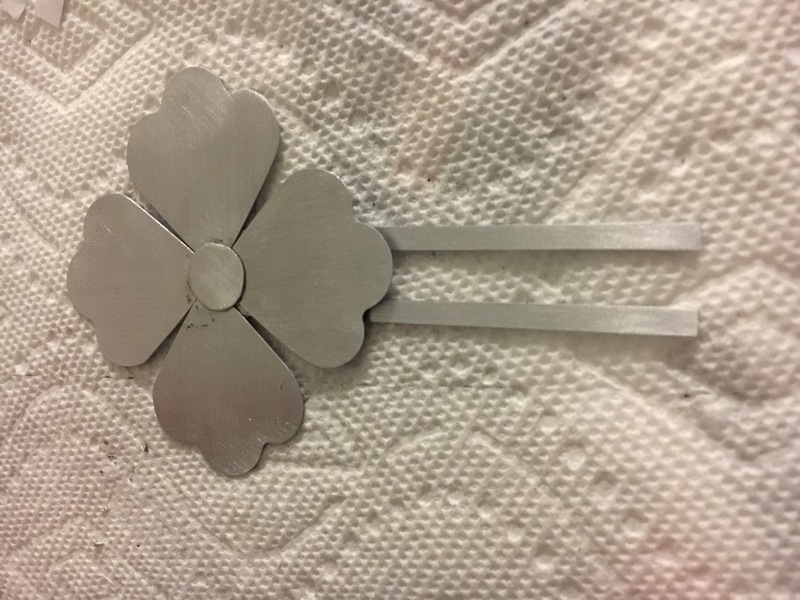 The kanzashi uses aluminum of two different thicknesses. 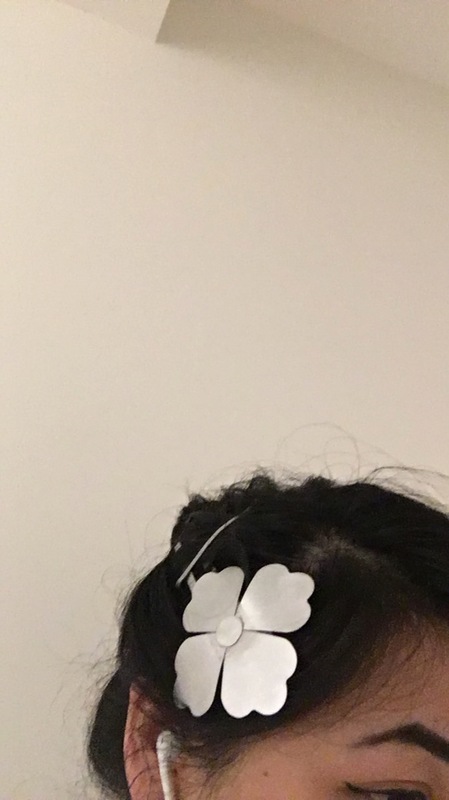 The petals are made from a thin piece of metal while the prongs are made from a thicker sheet to provide more stability in case more hair gets wrapped around it. 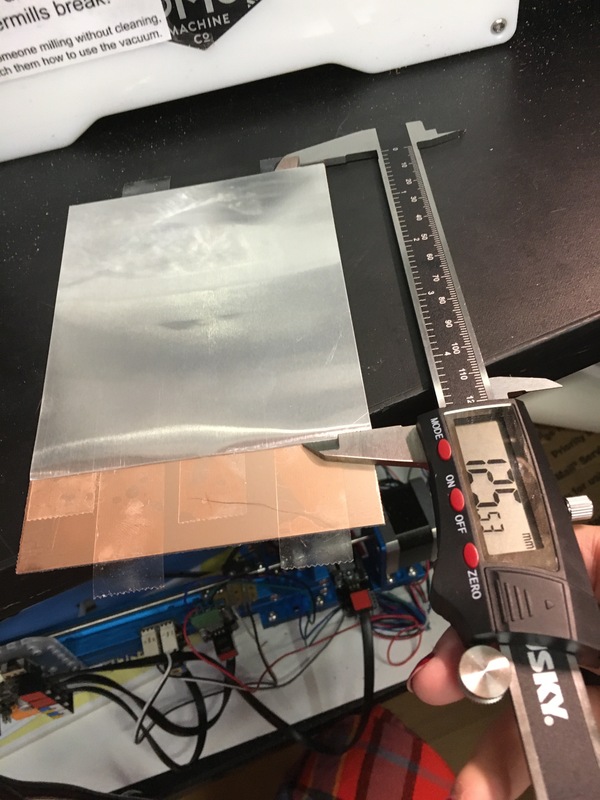 The thinner sheet needed to be secured on PCB board. 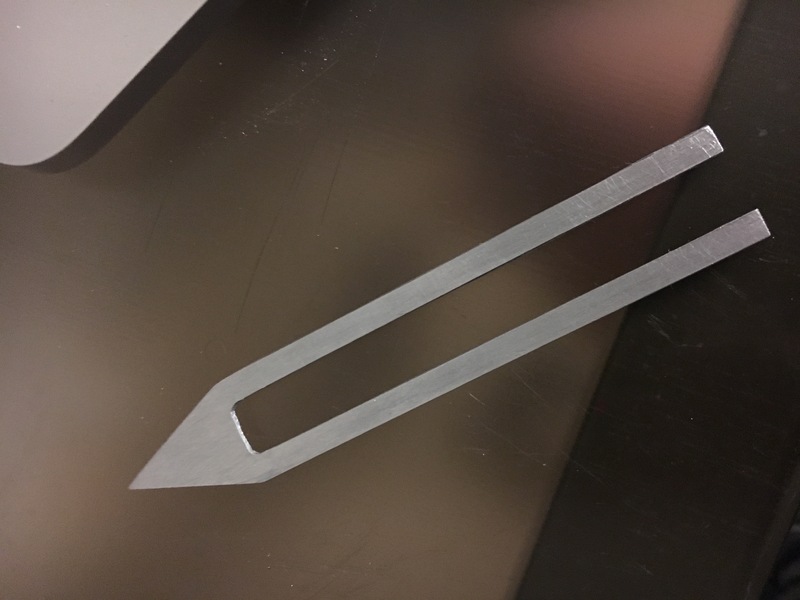 I used a 1/8" flat end mill for this project. 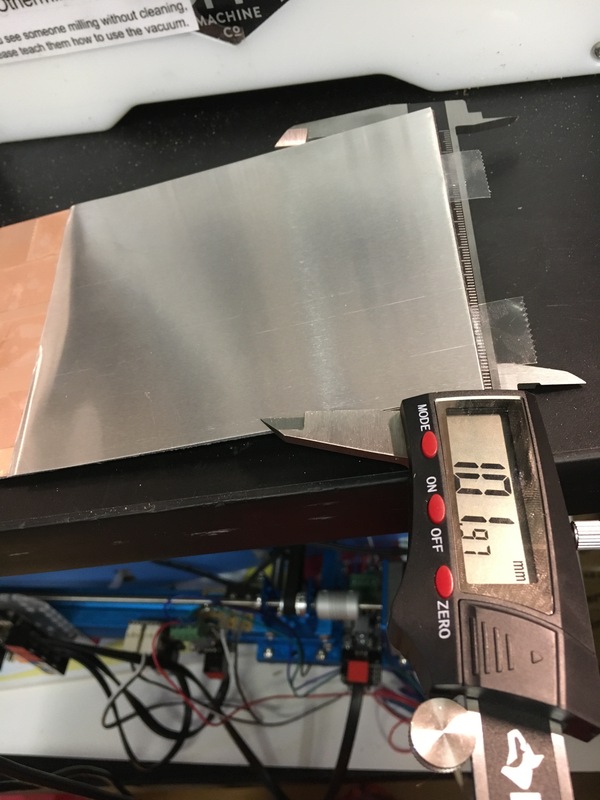 Last week I complained about the size but for some reason, 1/8" was perfect for the aluminum. Sanding took about 2 hours. I started with medium grit then moved to fine grit and rubbed it against scotchbrite for good measure. I went with the brushed metal look so I sanded in one direction. I polished it with oil and washed it with soap. The pieces looked soft, but worn at the same time, much like some of our heirlooms. I had no idea how to hold the pieces together so for now I'm just using my double sided tape. 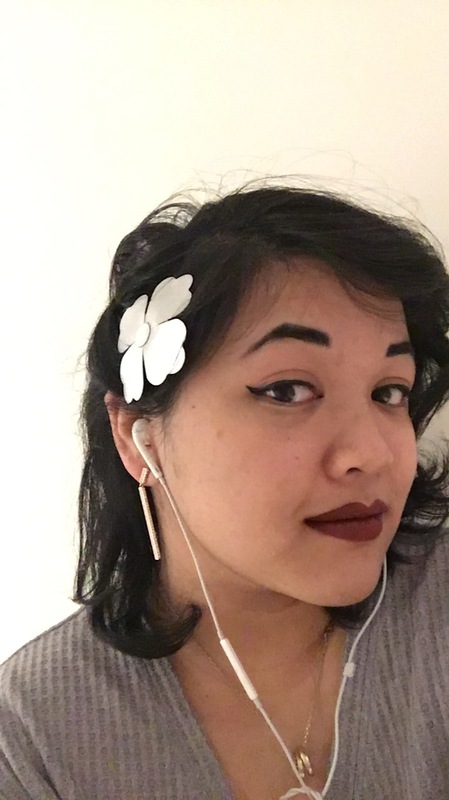 I tried putting the kanzashi in my hair and it looked incredibly bizarre because of how flat the metal was. I forced the metal to curve so now it looks more natural when I wear it. 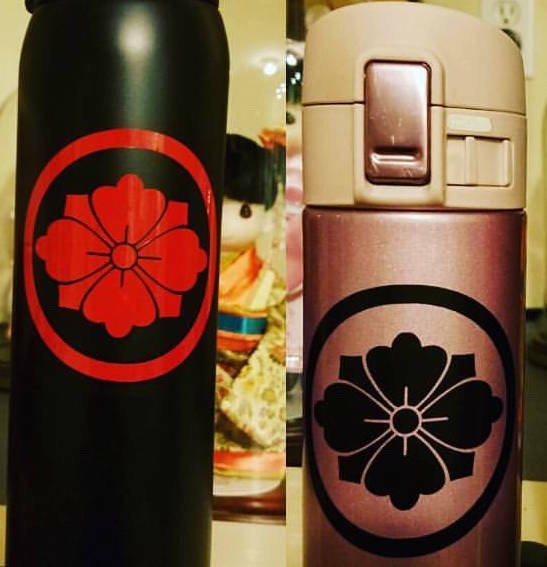 The only thing that bothers me now is that the flower design is a little too big. If other decorative elements were added to it I don't think the size would bother me as much. When I figure out a better way to hold the ornament together I'd like to add more traditional decorative items to the kanzashi. 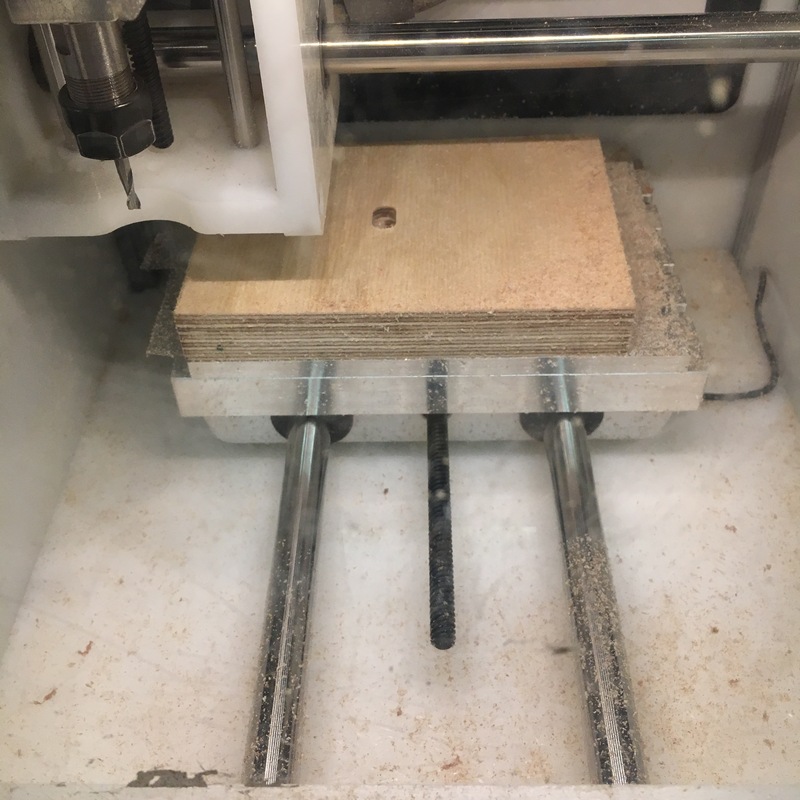 This week I decided to make something incredibly simple because I was afraid of the cnc router. I made a simplified version of the eye for this mask. 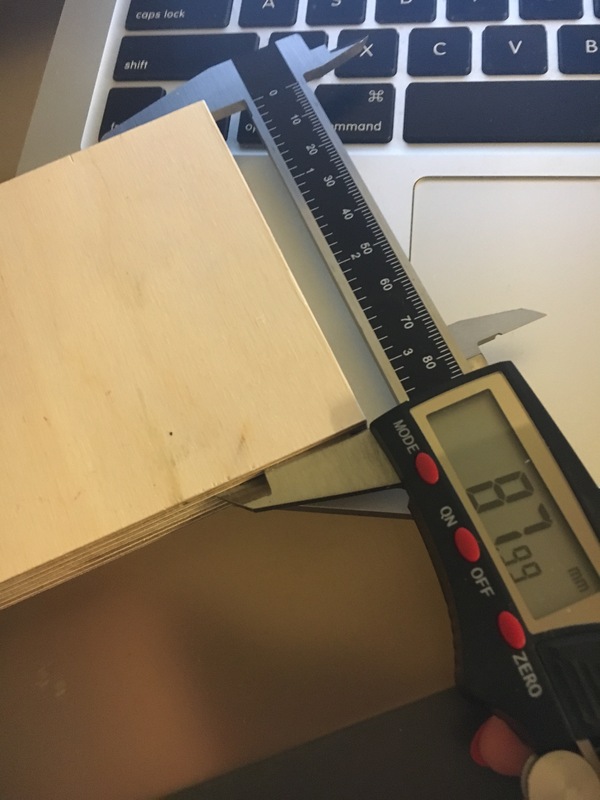 I tried to find the flattest piece of plywood from the pile and measured it. 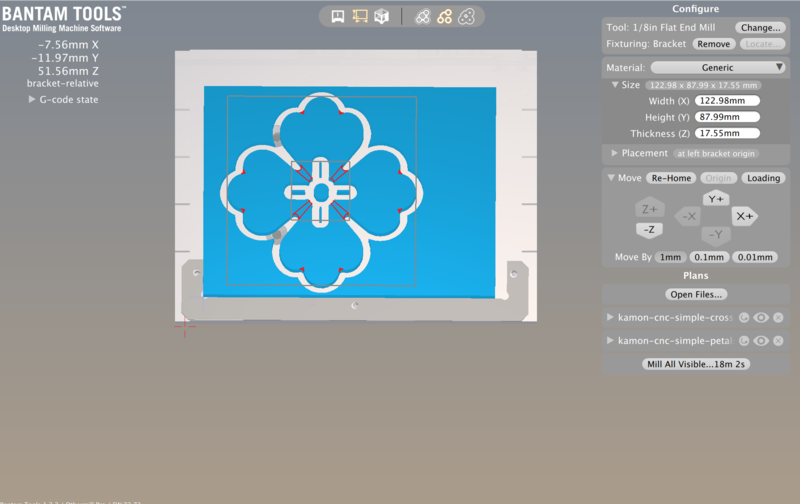 Vectorworks was somewhat of a pain to use, although not as stressful as Master Cam. Setting up the Vectorworks file only took about 15-20 minutes. Getting the file ready in Master Cam took nearly an hour. The most confusing part was arranging the toolpaths. 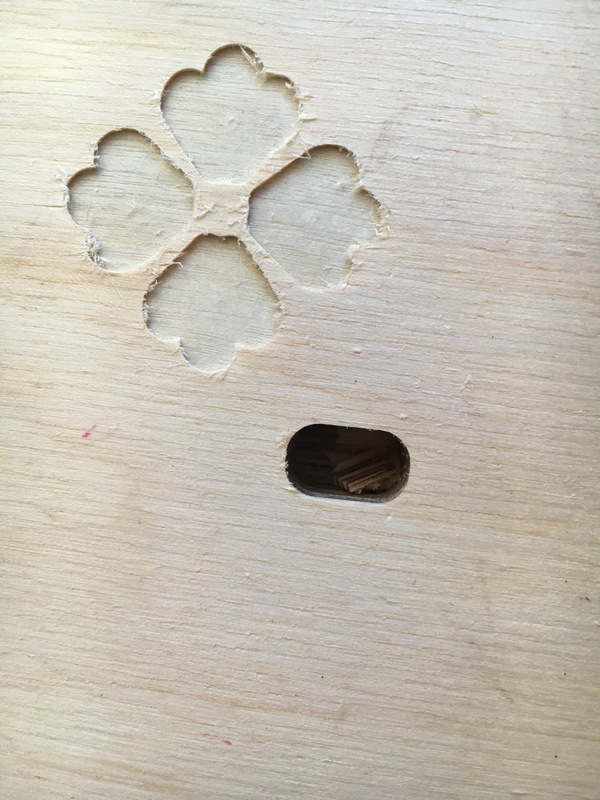 I had to rearrange it so the pocket was carved out first before the contour so I wouldn't have to screw the wood down again. Oddly enough, the clockwise vs counterclockwise concept wasn't too hard to understand. 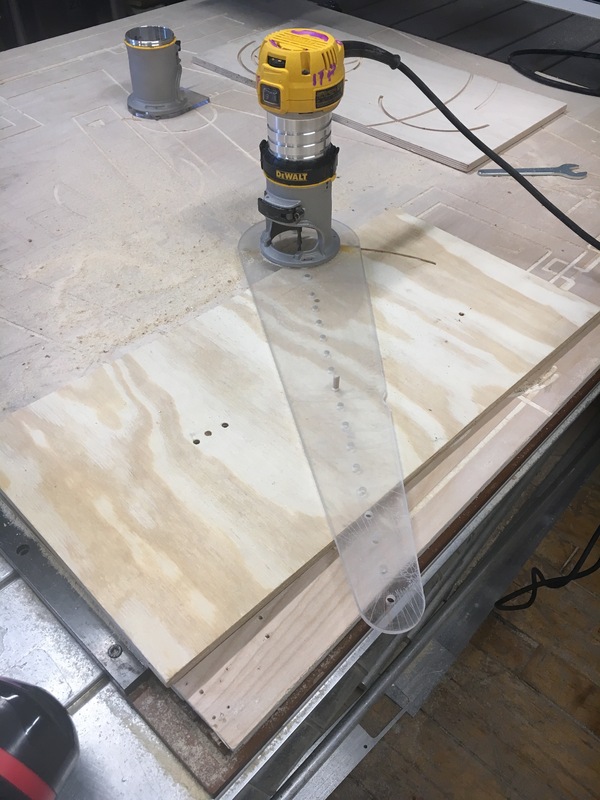 For this project, I used a 1/4" straight mill. 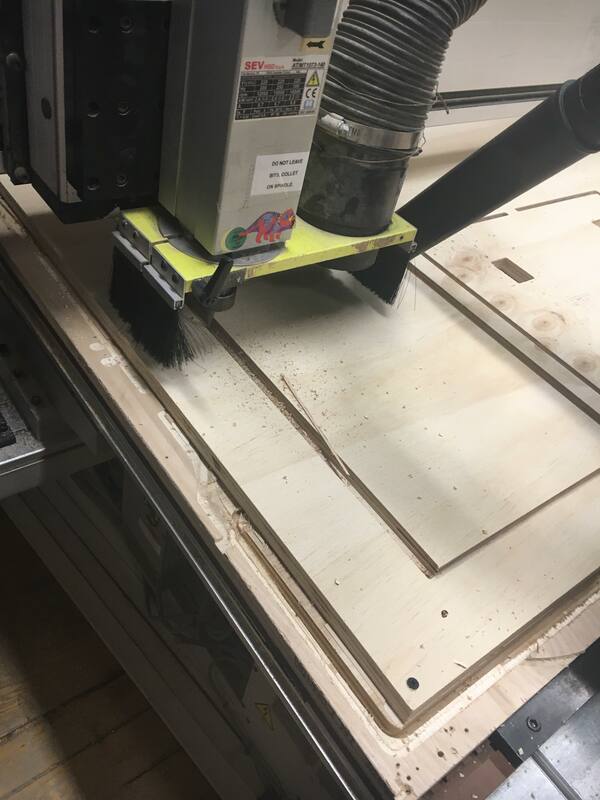 After getting the gcode for the cnc, I started getting ready to secure the plywood to the spoil board. I think this ended up being the most difficult part of the entire process. It took 1 hour and a half to do because it was hard to find a good bit for the screws. I was also really afraid of the drill so I had to ask for help. Eventually, I gained more confidence using the drill after asking for help. Setting up the job wasn't too difficult, along with securing the bit. 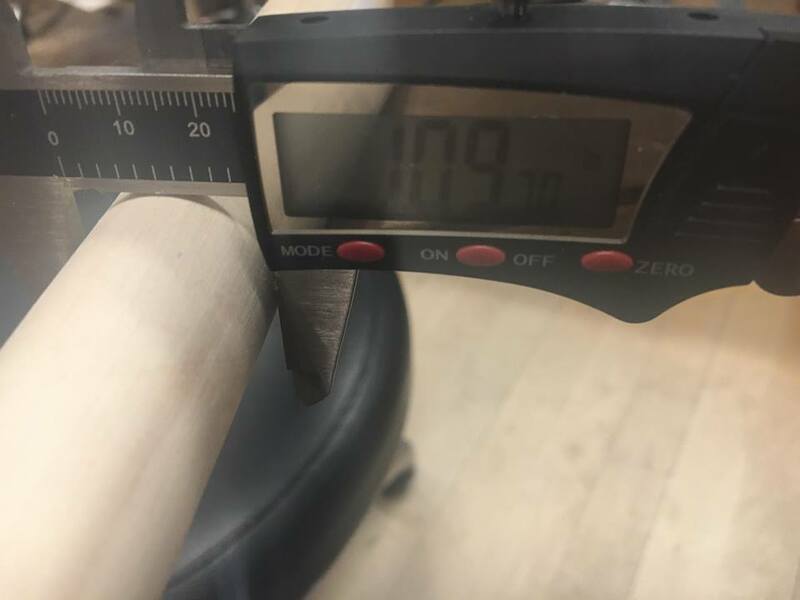 The first pass went well, except it didn't cut all the way through the wood. I tried running the job again but immediately after I got nervous and pressed the emergency stop and killed the job. I didn't realize that when the button was pushed in, the router was in an emergency loop. The software kept throwing an error that asked to enable the controller which made things more confusing. Luckily, it got resolved about 30 minutes after I pressed the switch and I set up another job. 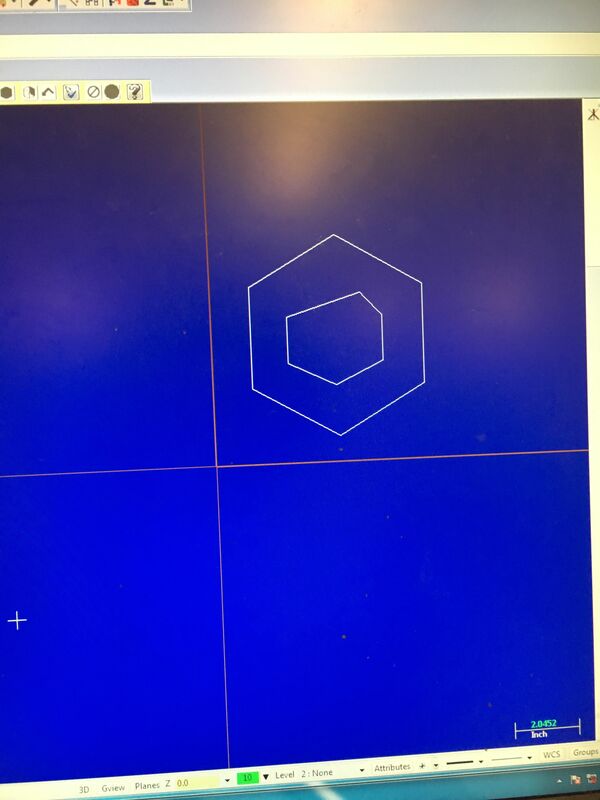 The first job is the left most hex. Unfortunately, the second job also didn't fall away from the main board. 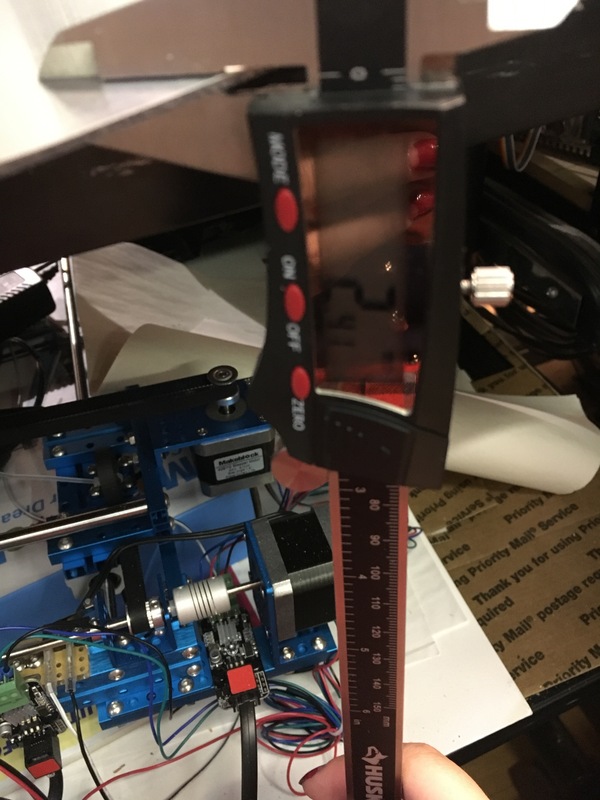 I realized I read my caliper incorrectly and made the depth too shallow for the contour. I think I feel more comfortable using the machine now that I've had a panic moment. The next time should be much easier. 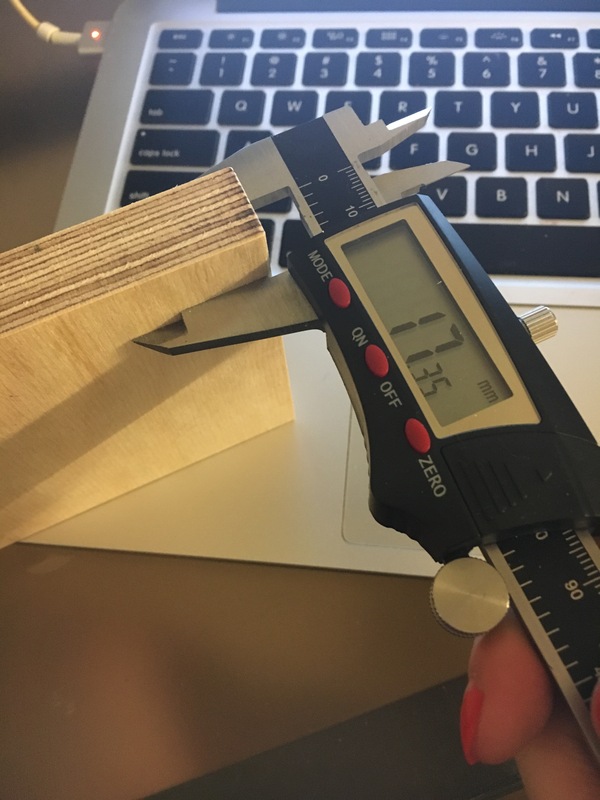 For the joinery assignment, I picked a rabbet joint and used a tolerance of 0.01. I tried making a box for a friend so she could test out her animation. The joints ended up not slotting together because my plywood was so messed up. 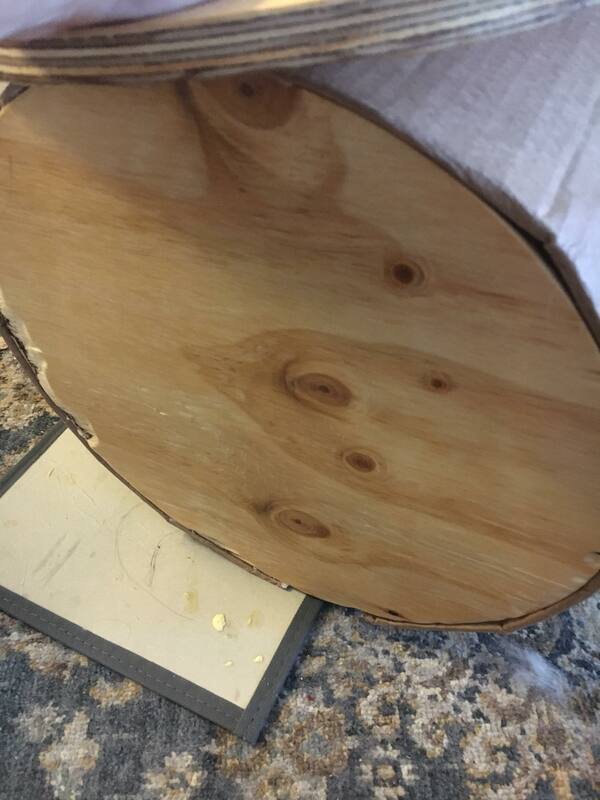 It was bowed in the center and had a crack along the right side. It also had a ton of high and low points. 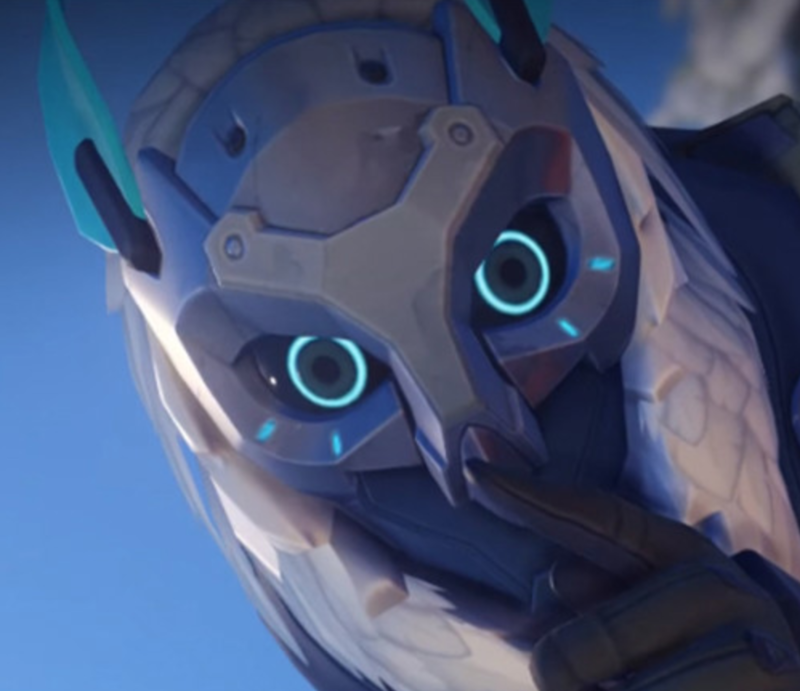 However, it served its purpose and the animation looked really cool. 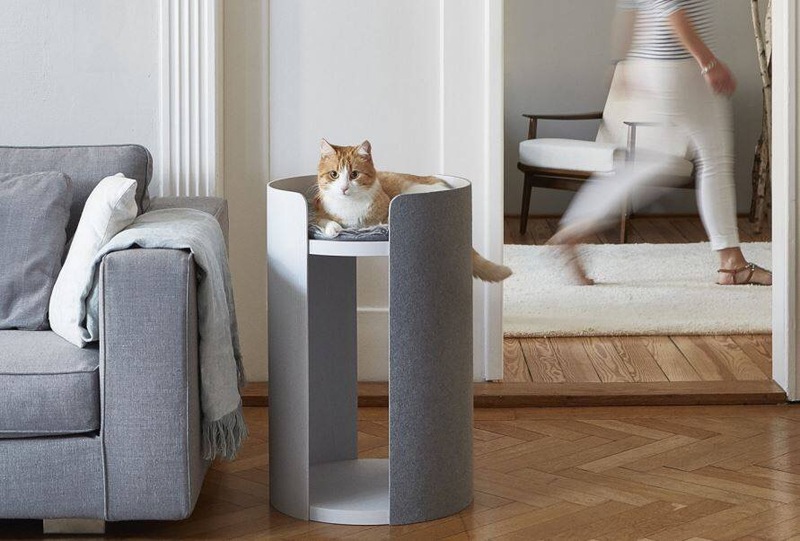 The goal is to have something sturdy so it doens't tip over when my cat uses it. Design wise, I wanted to model it based on something that's not overtly cat oriented. The design I picked was something that looks like actual furniture. It's sold by MiaCara for $612.85 and the largest size they sell is 110cm x 45 cm. The diameter seems decent, at 17 inches, but the height is extreme for a NY apartment. 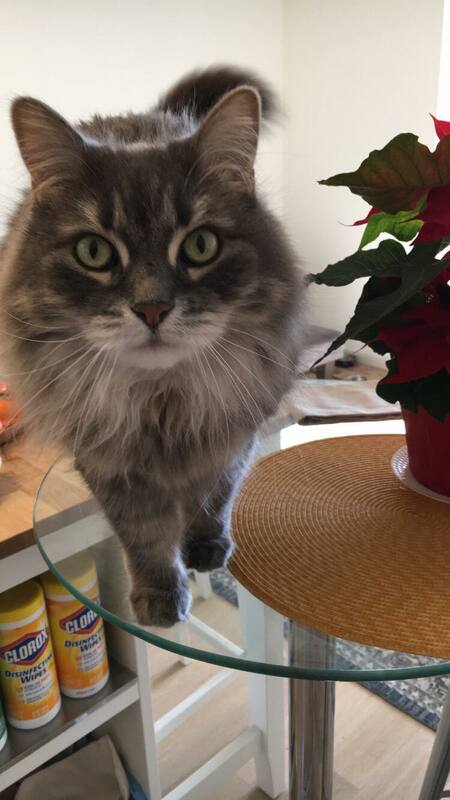 My cat is approximately 22" in length. 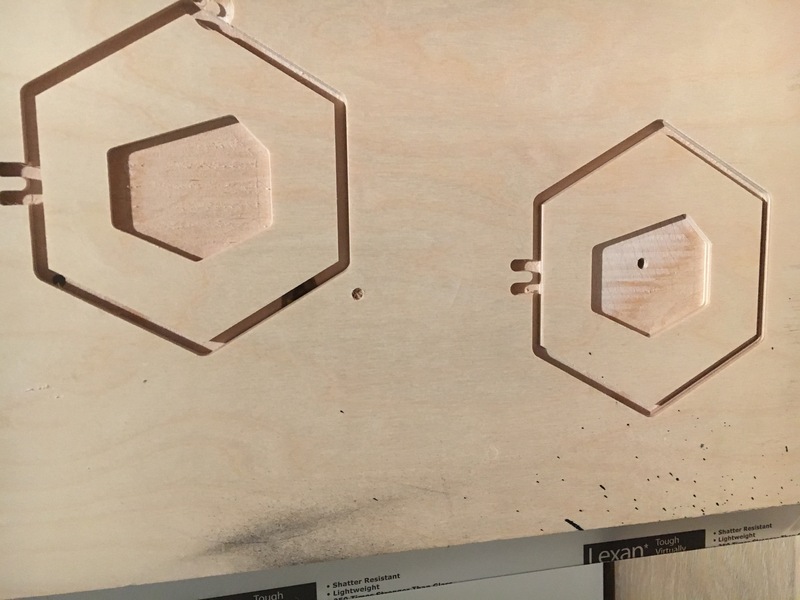 I made the panels out of cardboard and followed the Adaptive Design Association's cardboard fabrication guides to make sure the corrugation was facing the right way. The benefit of cardboard is that it's a cheap and common material that's also familiar to my cat. I considered using the plastic used for flexible cutting boards but I was worried about what would happen if she started chewing on the plastic. I'm also not sure how to secure plastic to wood. I decided not to set the top circle to make the "sleep area" because my cat is probably too heavy and I doubt she'd use it. The height of my project is about 16" so it manages to fit inside my apartment. 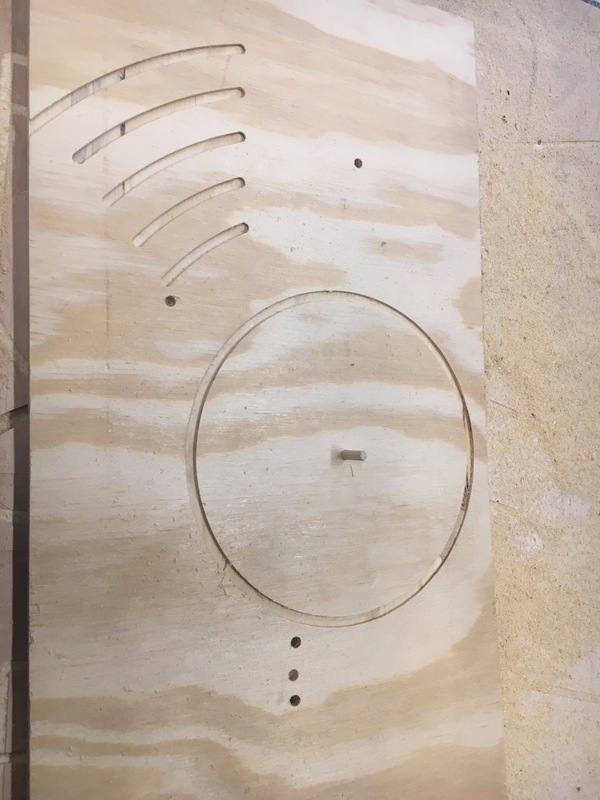 I didn't want to spend hours on the CNC so everything is extremely simple. The file had an ETA of twelve minutes, however, it didn't cut through the material after 3 passes with the Z axis adjusted each pass. 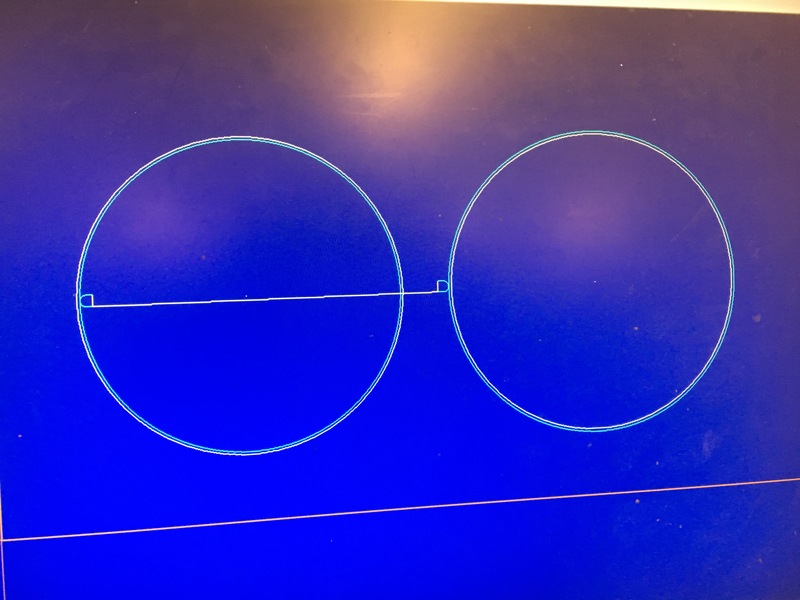 Another problem I had was that one of the circles cut inwards and it was something I didn't notice until midway through the first pass so one ended up being slightly smaller. 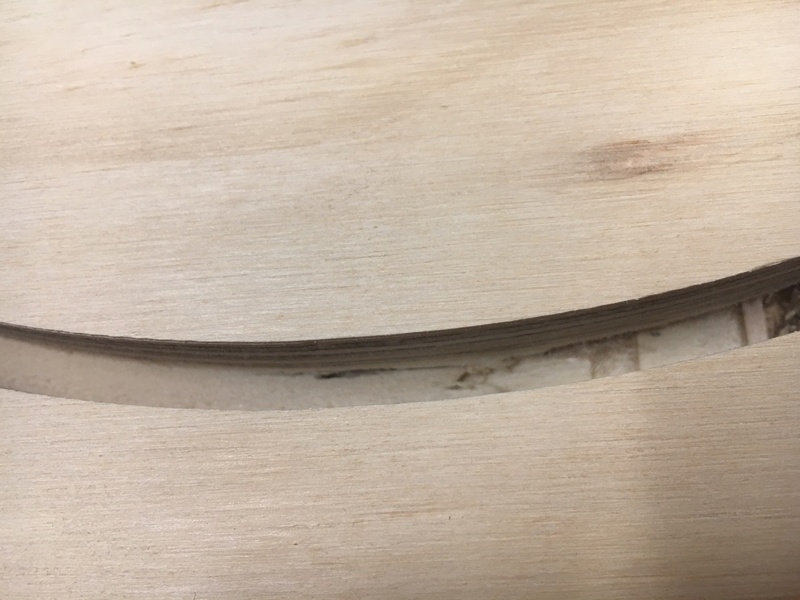 My wood ended up being slightly curved and cut out better on the right side versus the left. I dind't want to do a fourth pass and cut into the board underneath so I punched it out. 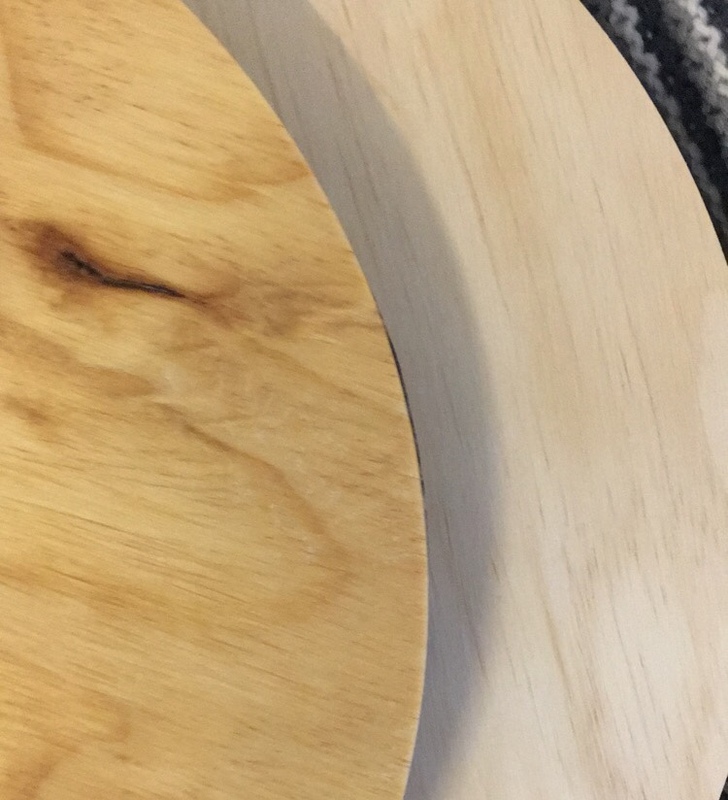 After sanding the circles I used food safe mineral oil for the finish because I wasn't sure if tung oil would be safe to use. The size difference actually ended up being somewhat problematic when I started gluing the cardboard to the wood. 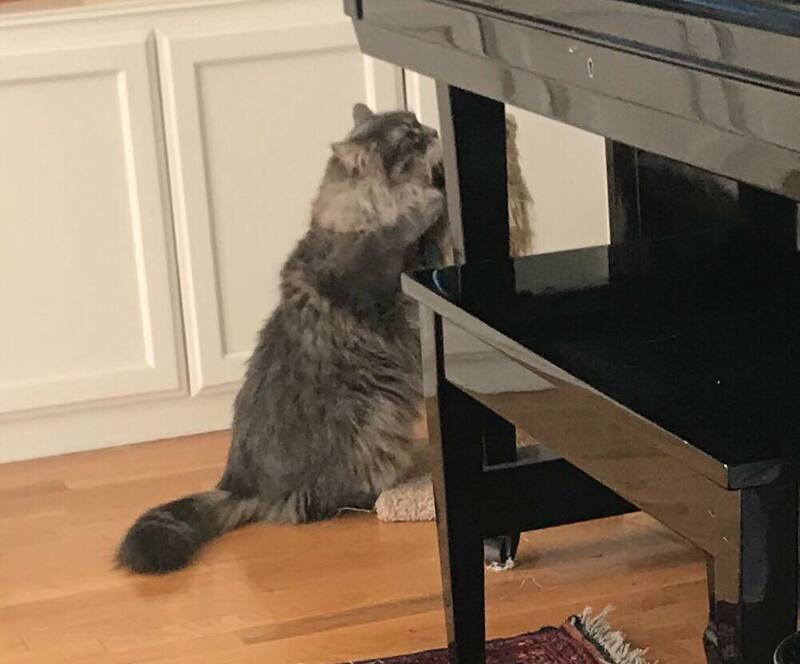 I'm still worried about the pull force when my cat actually tries to destroy this project. I'm not sure if velcro is the right move. I really wanted to be able to replace the fabric with different kinds of material. The velcro I chose allegedly supports up to 10lbs. 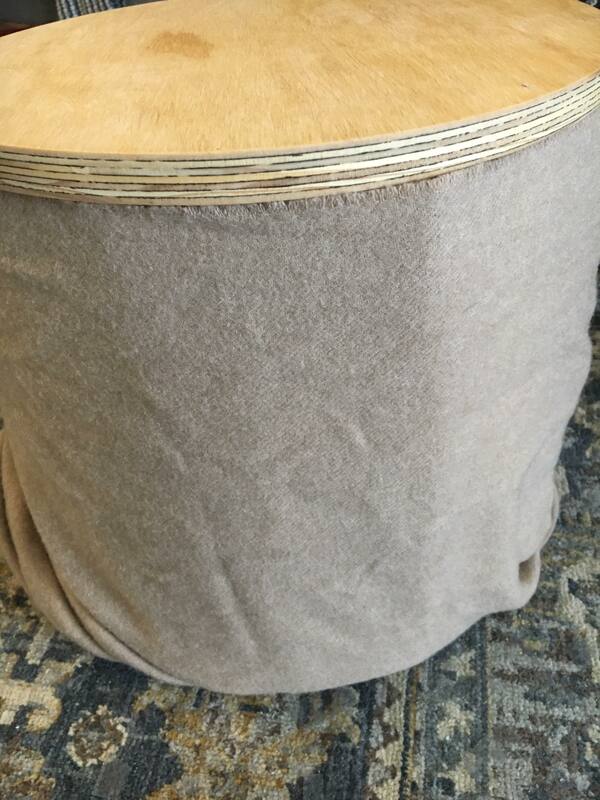 Even if my cat doesn't like this scratch alternative the project is good enough to use as a side table. 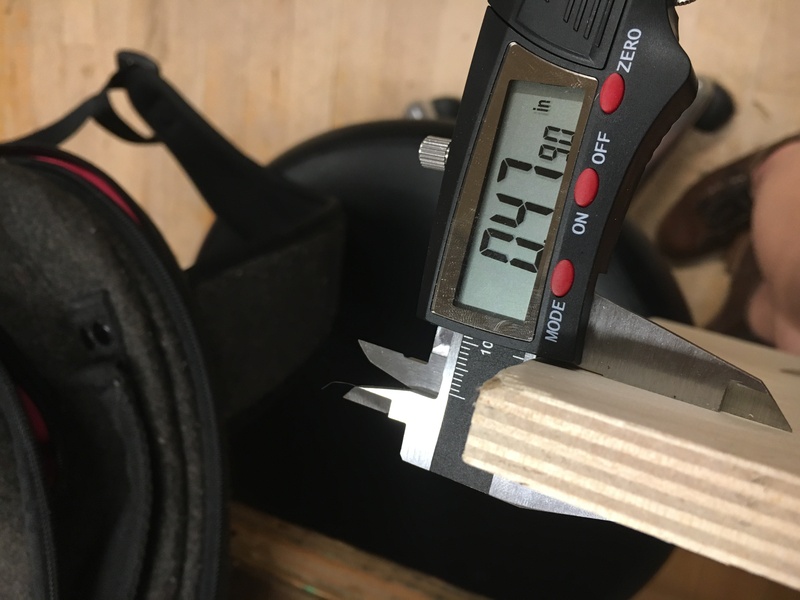 I used a wooden dowel for my handle. 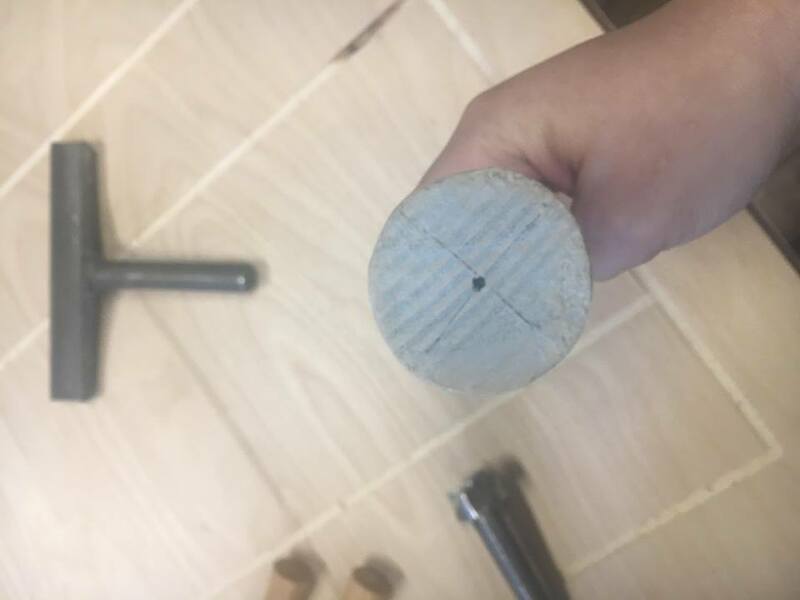 It was awkward because although it looked fine at first, my wood wasn't perfectly centered so there was a little bit of wobble. I definitely understand how this is a skill based all on feel. 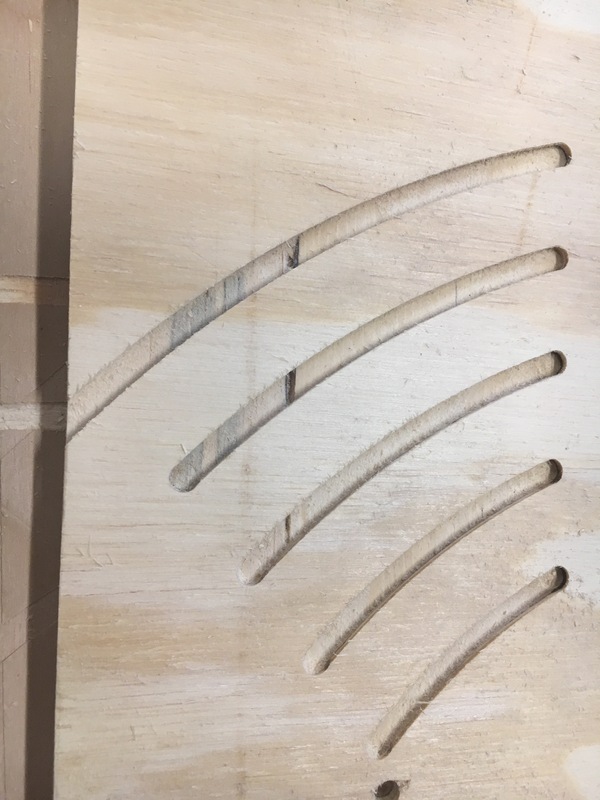 When it was perfectly rounded it was extremely easy and satisfying to carve into with the parting tool. The round nose was sharp enough and was really easy to use. The parting tool needed to be sharpened and it took me a few moments to figure out the best angle. I had it slightly tilted so the point would actually dig into the wood more. I'll admit it took some time getting used to the tools. I'm left handed so I really wasn't sure what was the best way to hold the tools so I just did what was comfortable and kept my finger in the tool rest indent. I had no idea how much stress my hand was under until I stopped turning. 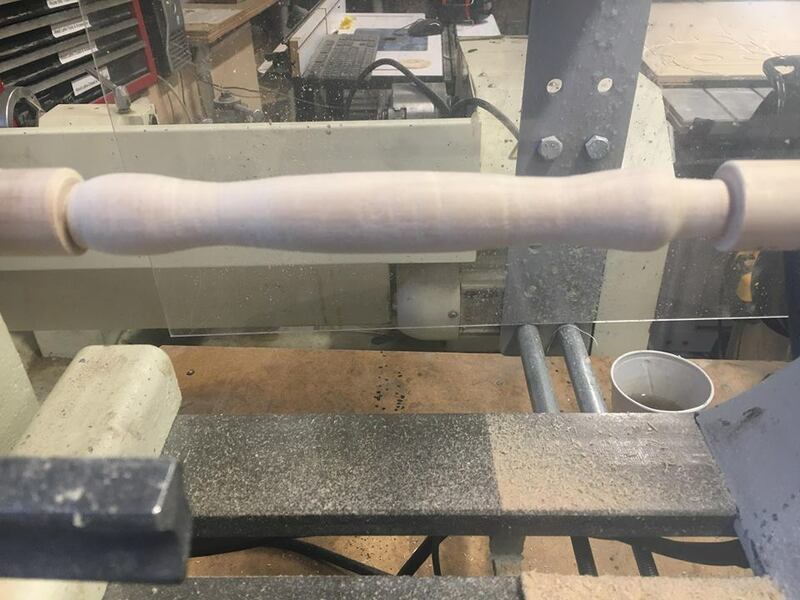 I was worried I would take away too much material because it was kind of addicting shaping the handle. 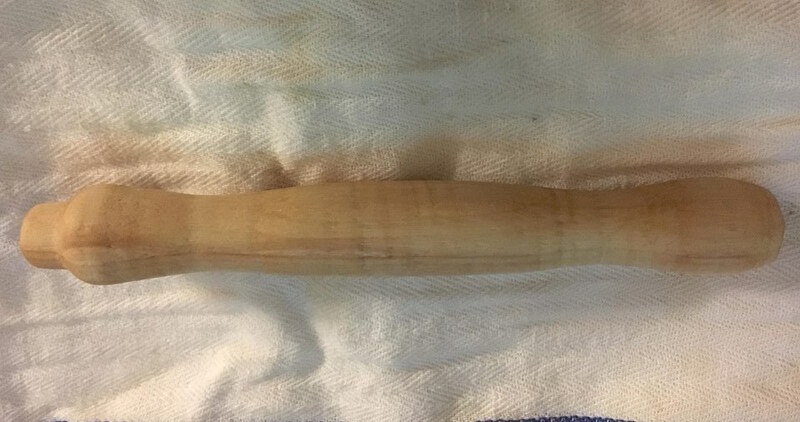 I wasn't really impressed with the wood lathe until I started sanding and then I almost couldn't stop. It was so much fun and the wood really doesn't feel like wood anymore. It's hard to describe I swear. 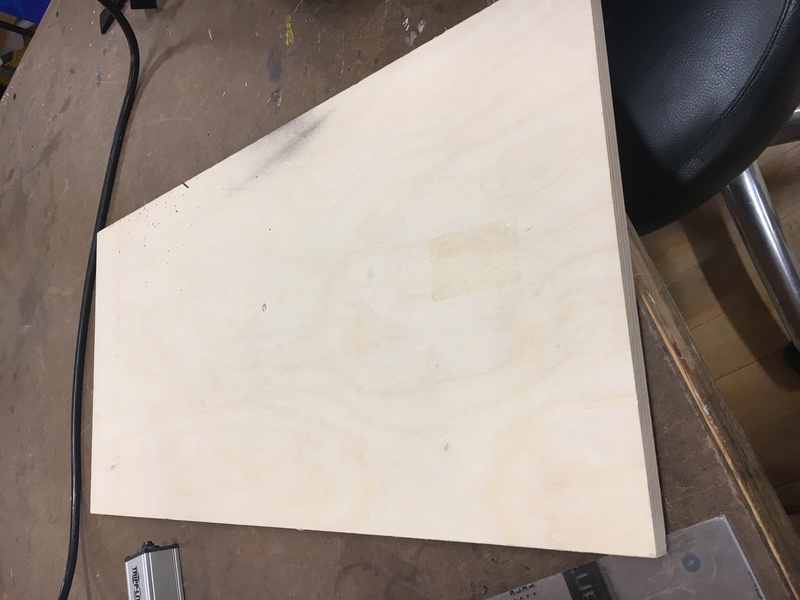 I glued together two pieces of plywood. I made it sort of small because my dowel isn't very large and I didn't want to waste material. The hardest part was trying to round out the block because of the glue and the ply wasn't the same size. 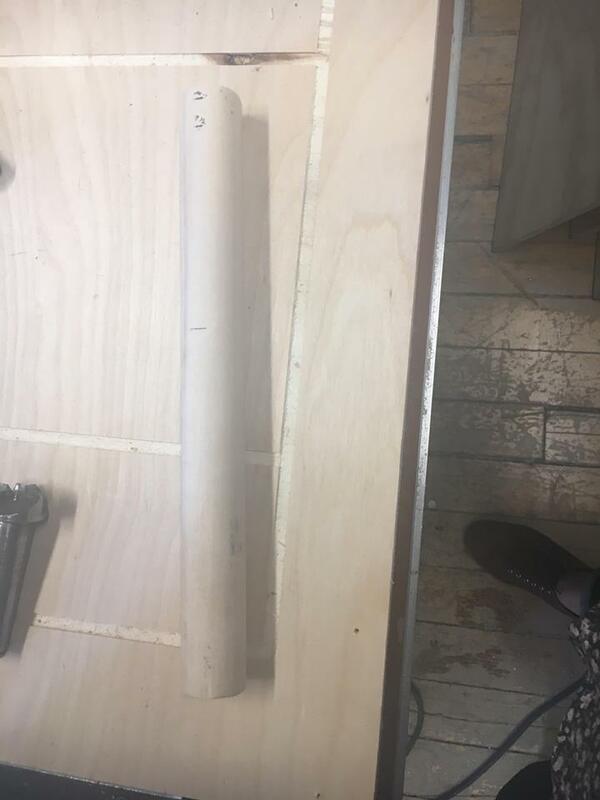 The dowel was also made of crappy pine so the tool would cut into the material if I wasn't careful. 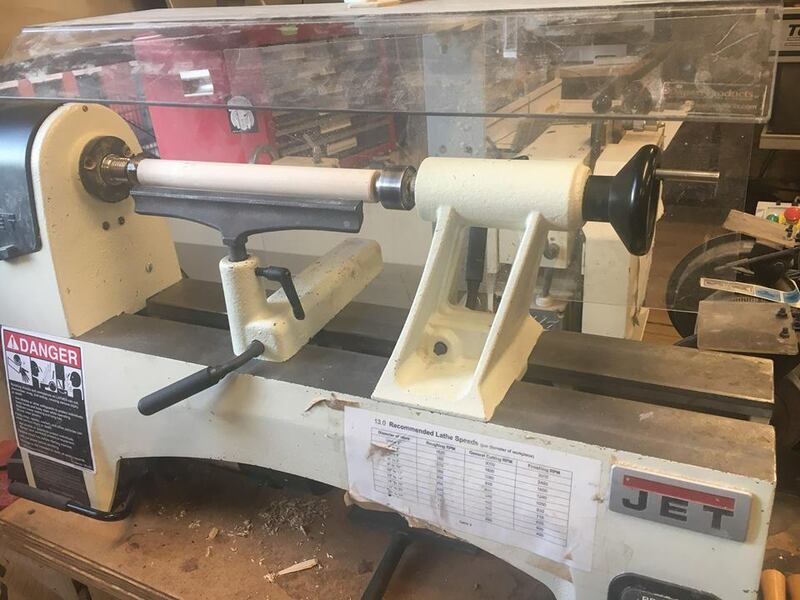 I like the wood lathe but it's also really tiring and awkward. I'm not sure if it's because I'm left handed or not so it's hard to know if I'm doing things the correct way. I wanted to make something basic because the machine looked extremely complex. 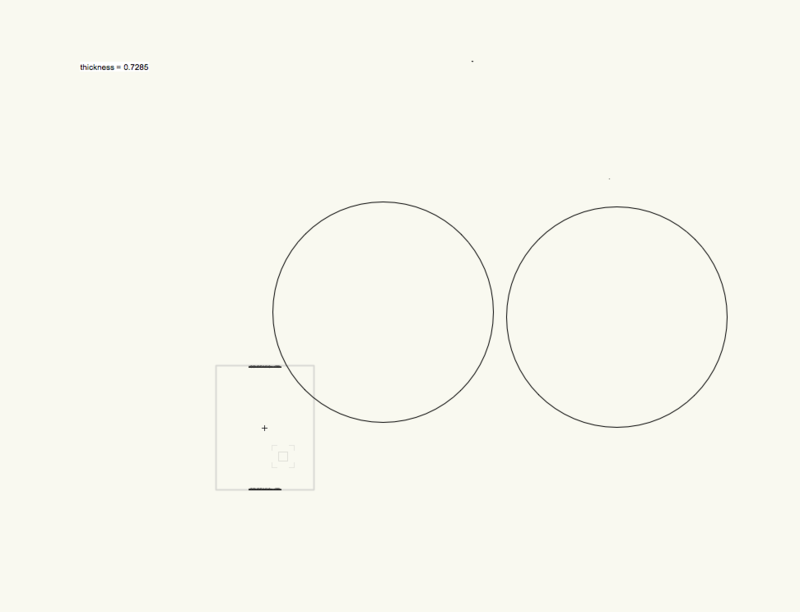 I wanted make a mobius strip at first until I tried replicating it in Vectorworks which was definitely not simple. Loading the material was sort of confusing. I wasn't sure where it was suppsoed to clamp down. The instructions were also really confusing and I was afraid I was going to be the one to accidentally reset Y. What helped was setting Z first and then X. My file ended up being too small so I scaled it up a bit. 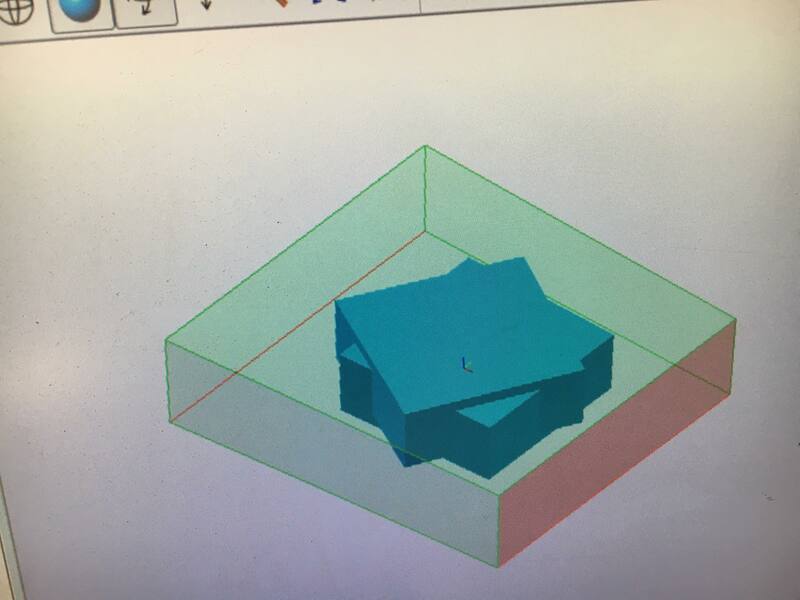 I really liked the software for the 4 Axis Mill. 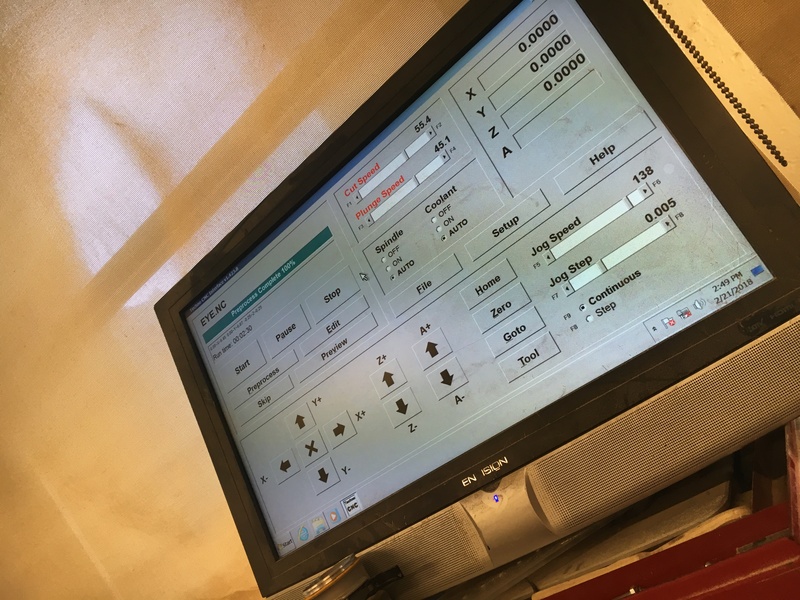 It's much simpler than MasterCAM. I wanted to try to remake my hairpin from Othermill week. It was the machine that was the easiest to use and gave me the best results. 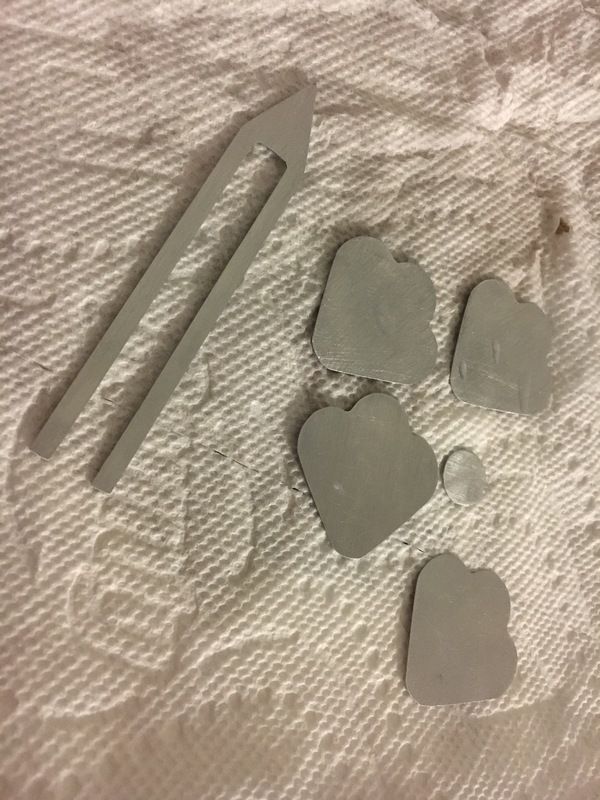 My piece overall is super tiny which makes it even more difficult to cut certain things out. I wanted to add little metal strips that would form a waterfall in a sense. Even though the PCB was used to make it easier to remove the metal from the bed, I actually like the coppery tone.